Visiting family for us means at least a couple of hours on the road at the best of times. Or in case of my in laws it means more than 400 km which can add up to 4 to 5 hours in the car. Thanks to the ingenuousness of Apple products at least Little Girl can entertain herself halfway decently by now. Keeping 1 year old Mr. T happy for 4 hours? Let’s just say there are things that are more fun. On the positive side long car rides for me also mean uninterrupted knitting time. What better project to travel with than a pair of half finished socks? This particular pair of socks has been suffering From SSS (Second Sock Syndrome) for way too long. 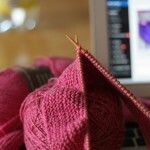 It’s part of my personal knitting goal to finish as many UFOs as possible this month. 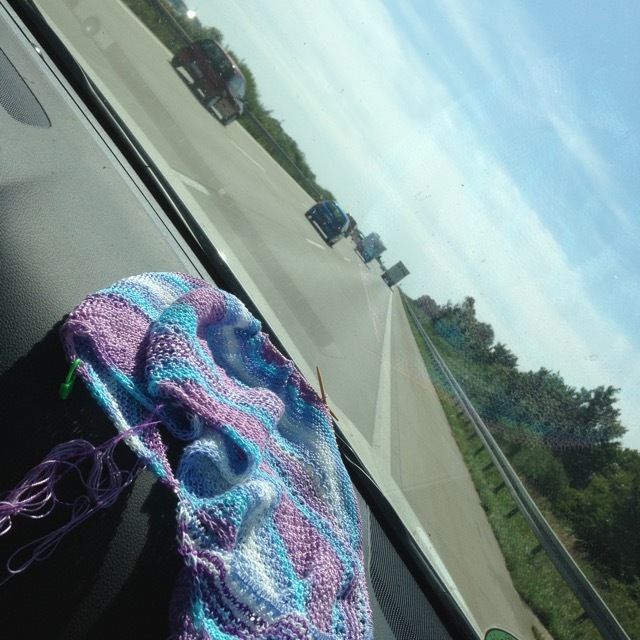 What other knitting and crochet projects make good traveling companions? Size: Is it portable enough to fit into daypack? 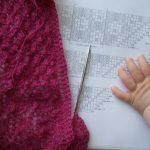 Pattern: Easy enough to knit without consulting pattern sheet or chart every couple of stitches? 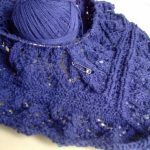 Yarn: Will the yarn stand up to constant abuse through packing, stuffing, squeezing? 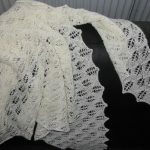 Will there be enough yarn to finish the project? For me it usually boils down to socks, easy shawls or plain stockinette raglan sweaters. What’s everyone else’s favorite travel knitting, I’m wondering?